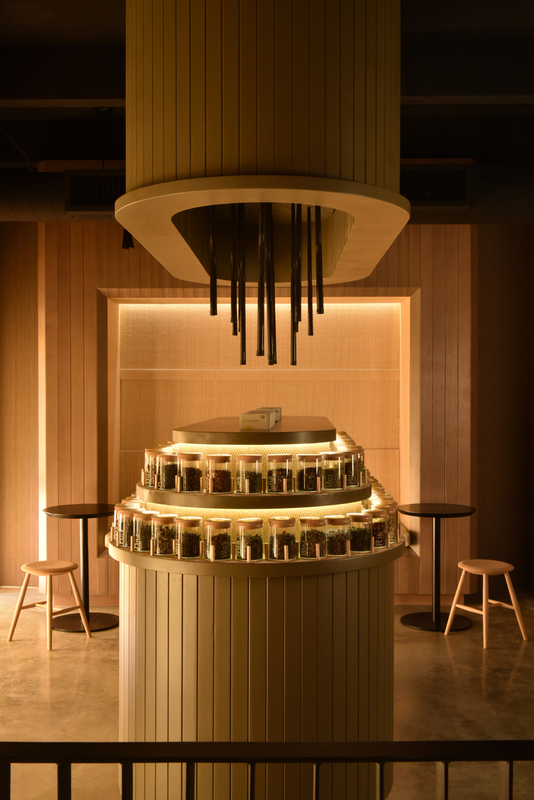 Small Tea’s flagship store in Coral Gables is designed by Osmose, with emphasis on creating a ‘modern’ sanctuary for tea instead of just a tea shop. 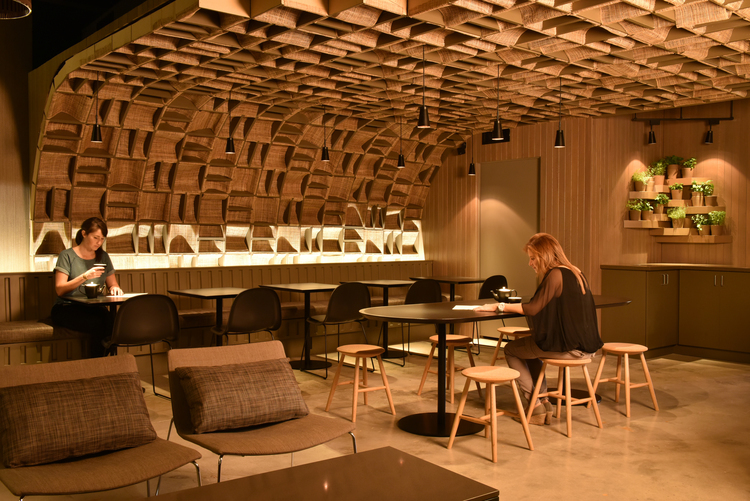 The use of wood everywhere, the enveloping arch above the long seating area, all give a sense of warmth to the space. My favorite part was the display. Below is a slideshow with additional photos and details. “It all began in beautiful Coral Gables, Florida…” That’s how history will record the earliest days of the “Small Movement” ushered in by our flagship Small Tea store on Aragon Avenue, located between Ponce De Leon Boulevard and Le Jeune Road. A marvel of quiet elegance and intentionality, every square inch was considered, with one over-arching criteria: to help facilitate and foster transcendent moments. Of real human connection. Not via email or text or phone. Introducing you to our favorite teas from all corners of the earth is just a means to that end. So is the curated music and sumptuous food. We refer to Small Tea as a “store,” but it’s really a modern sanctuary. When you visit, you will experience that immediately. When you leave, you’re going to want to take a little of it with you.